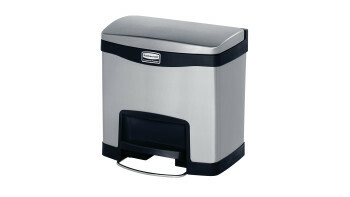 The smart choice for hands-free waste collection. 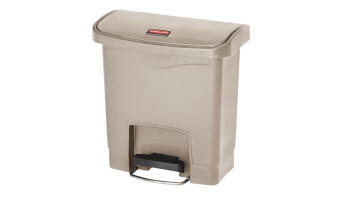 The Rubbermaid Commercial Slim Jim® Step-On Container features a slim profile and small footprint to fit in tightest spaces. 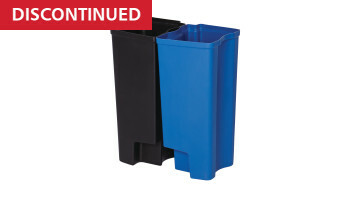 Slim Jim® Step-On containers are constructed with premium-quality materials and meet the needs of any environment with efficiency, safety, and durability. 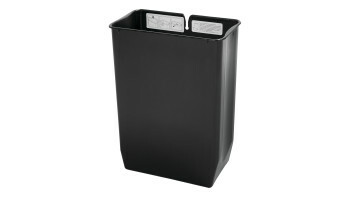 The Rubbermaid Commercial Slim Jim® Front Step-On Liner helps maintain the life of the Rubbermaid Commercial Slim Jim® Front Step-On Container (sold separately). 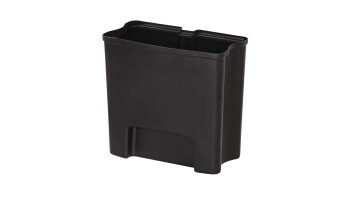 Constructed of durable, puncture-resistant plastic, this liner features smooth contours for easy cleaning and a liner retainer band to secure liner bags. 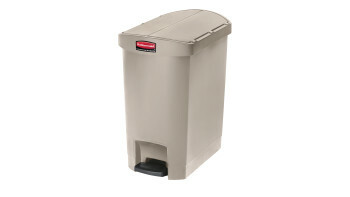 The Rubbermaid Commercial Slim Jim® End Step-On Liner helps maintain the life of the Rubbermaid Commercial Slim Jim® Front Step-On Container (sold separately). 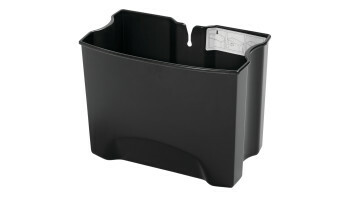 Constructed of durable, puncture-resistant plastic, this liner features smooth contours for easy cleaning and a liner retainer band to secure liner bags. 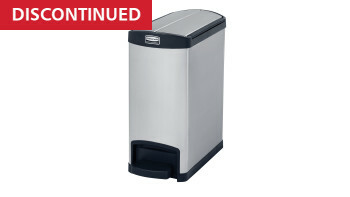 The Rubbermaid Commercial Slim Jim® End Step-On Liner helps maintain the life of the Rubbermaid Commercial Slim Jim® End Step-On Container (sold separately). 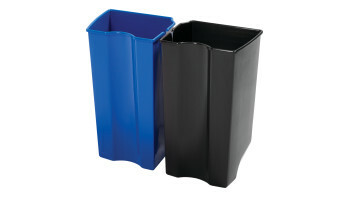 Constructed of durable, puncture-resistant plastic, this liner features smooth contours for easy cleaning and a liner retainer band to secure liner bags. 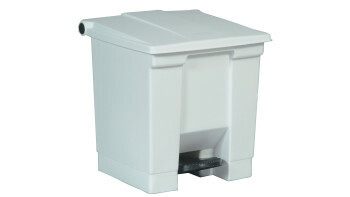 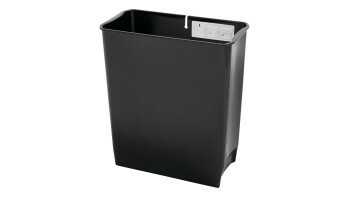 The Rubbermaid Commercial Step-On Container provides sanitary waste management.